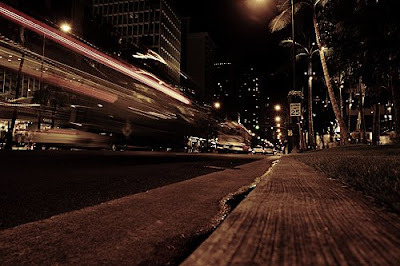 I was wandering down the strip at Waikiki with my family and took these pictures. This first photo is of a hair and makeup artist, Cirialyn Valeriano, who is going to school at Ulupono Academy, a Paul Mitchell partner school. She's got style huh? The second street shot I slowed down my shutter a little. I love playing with light. this woman is flawless. her mascara even looks perfect.